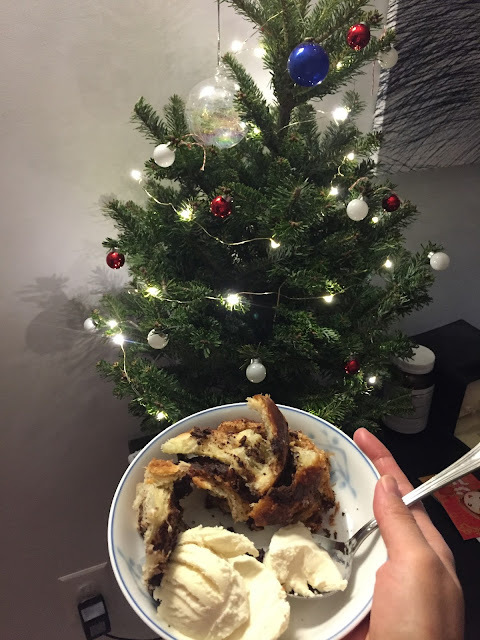 New York à la Keiko: Merry Christmas! 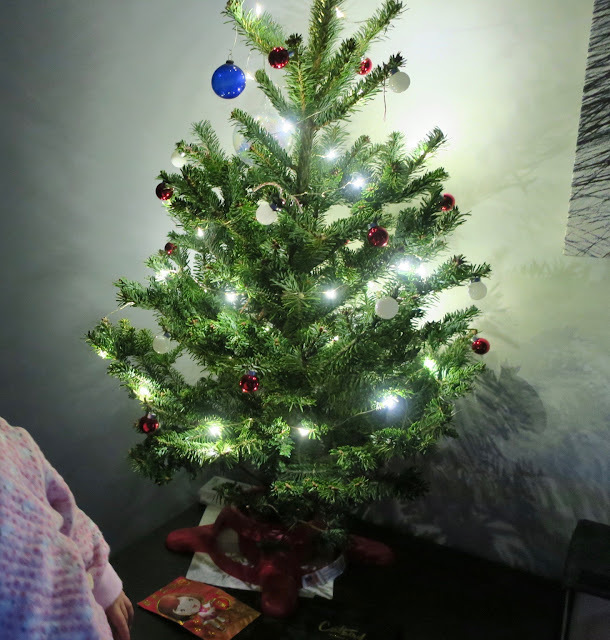 I grew up with an artificial tree and think it is the way to go. After looking at expensive artificial trees (checking out the creme de la creme Balsam Hill trees), we were not sure if we ready to drop $300-$500 on a tree just yet. When I was just about to give up on the idea, I found this stumble upon this mini balsam fir while shopping at Whole Foods. He was perfect and seem too cute to pass on. It was only $15 which is not so bad considering I had just dropped $60 on sausages at the Union Square holiday market. The day I bought it, Dave was planning to go to a friend's for dinner so I decided I would hide the tree with the doorman and then decorate it while he was away. Dave is the big Christmas fan and I thought I'd make an effort to surprise him this year. It's a small table top tree but we think it's a pretty one! I didn't even need to buy the ornaments or lights since we had some lying around for other purposes. The two ornaments that stand out in the picture is from a little tradition we began a couple of years ago where we go to ABC home and carpet after Christmas and get ourselves a new ornament at half price. We should have three up there but one broke from a little accident. They are sort of one-of-a-kind vintage ornaments so it was irreplaceable. Maybe when the Balsam Hill trees go on sale after Christmas (60% off) we will splurge but it is not all about the money. It's more of the storage situation. Storing this damn thing for 11 months during the year and we definitely lack storage space. Or we can just be lazy and leave the tree out all year round. This is me eating babka while admiring our tree. Also this babka from Bread's bakery is our new obsession. It is made with Nutella and dark chocolate. It's so popular they recently increased the price of one babka from $12.95 to $14.95 but if you buy 2, it is $22 for both. Pair with ice cream and you have yourself an unforgettable lazy Sunday.